The weekend words given by The Odd Mix are hunger and satisfy. (Canyou tell he just started on a diet?) We are asked to not do the obvious but to surprise him with our answer. Well, I’ve been quietly singing “I hunger for your love” and not so quietly “I can’t get no Satisfaction” ever since I saw the words. I can’t quite figure out how to tastefully express those so I went with some photos for this weekend. I hunger for my brain to think like a real photographer. Shaun knows every little detail and knob on his camera. He is a superb photographer. (and I’m not just saying that because I’m married to him) He tells me that all I have to do is practice…I know it’s probably true…it just seems to techichal to me. Those are both great photos. You’re a very good photographer. My camera can do a lot more than I can. I keep having to refer to the manual what some of the settings are for. And, then I keep forgetting, of course. I love your satisfy shot because it speaks to the voice and heart of every photographer amateur or professional. It is how we feel about our picture that truly matters! Oh what a terrific camera! I think your photo captures a wonderful moment and that is what makes an excellent photo. I love that photo of the girl. I love when you can catch a photo that really expresses a moment like that. And it is truly satisifying to look at a picture you are proud of! Whether or not you manage to capture what your eye sees, you’re still a photographer. If you think about photography, hunger to know more, and practise art of it, you are a photographer. Realizing the dream of being a really great photographer is closing the gap between what you have on ‘film’ (or pixels if one prefers) and what your mind’s eye sees . Shaun’s right – make note of the technical stuff but don’t live by it. Practise will deliver more and more often. I like both shots. While the pic of your daughter is overexposed, that is what makes the photo interesting. One can just barely make out the freckles on her nose and the pale skin makes her light eyes just pop! A-d-o-r-a-b-l-e.
What a great way to play on this weeks words. I love how your subjects fill the whole shot! Those are beautifull shots – particularly the one with KT, And there is another thing Shaun and I have in common – a passion for photography! Although I am a Canon man, myself. I gotta find out what this challenge is. I keep seeing it. Looks interesting! I always like seeing people’s pictures. I don’t care about the angles, so you don’t have to worry about pleasing me at least! My husband too is the camera tech. Must be genetic. I can’t get through an instruction booklet to save my life. Awww…you guys are so supportive and well…just NICE! Thank you for your kind comments about my phototgrahy skills. 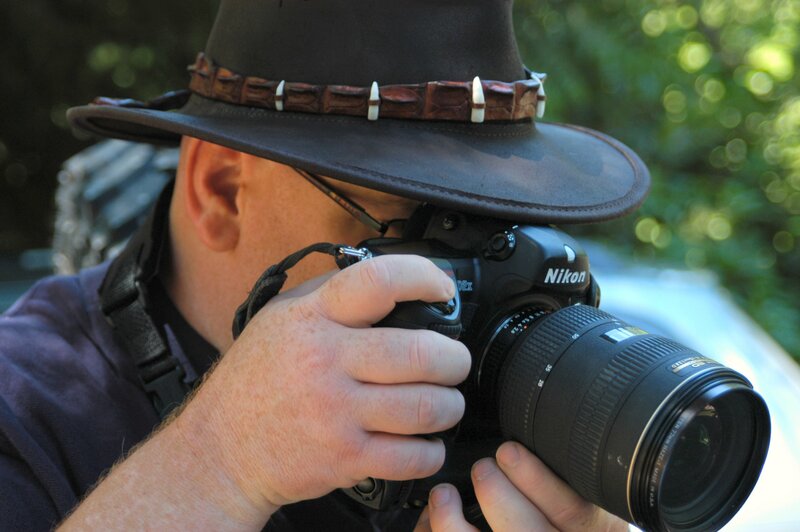 and Odd…some of my best friends use Canons. Really.